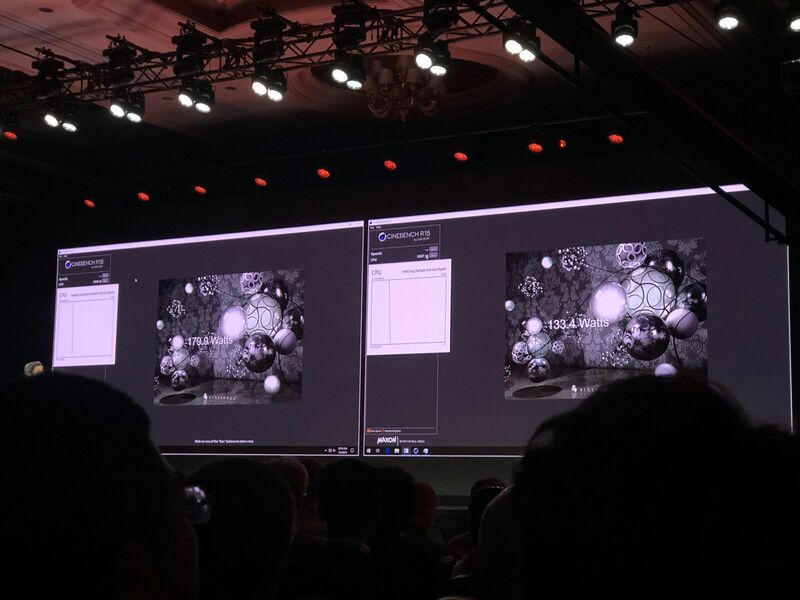 AMD has just confirmed that their 3rd Generation Ryzen desktop processors based on the Zen 2 core architecture are launching in mid 2019. 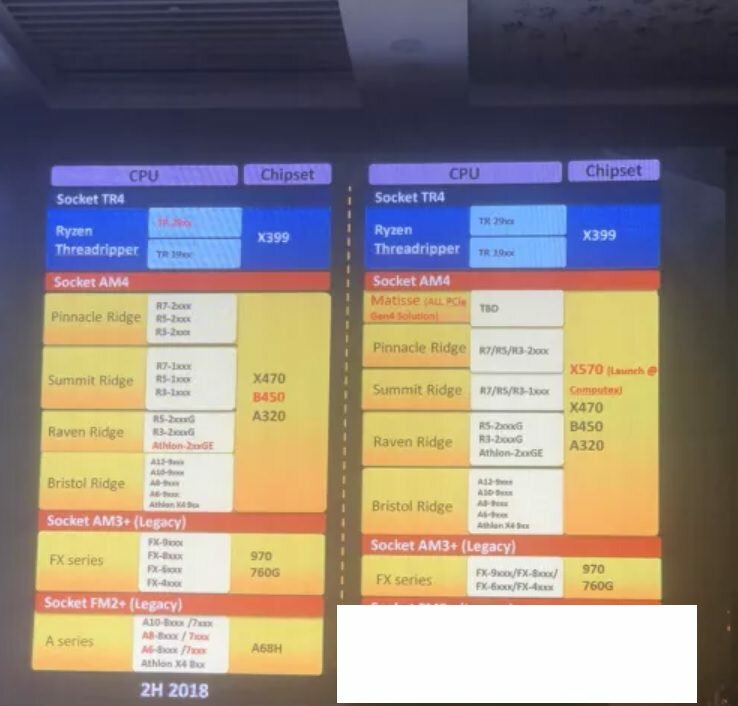 The latest processors will be compatible with the existing socket AM4 platform but will also get a new family of motherboards based around the X570 PCH which were rumored a while ago. The AMD Ryzen 3000 series processors will be launching officially in mid 2019 and that will suggest a proper launch plan around Computex 2019. The AMD Ryzen 3000 series processors will be based on the Zen 2 core architecture which was first announced for AMD’s high-performance server processors known as EPYC ‘Rome’. The Zen 2 core architecture is built around the next-gen 7nm process node from TSMC which allows for higher power efficiency, faster clock speeds and the CPU architecture itself provides a huge big leap in IPC compared to Zen+, AMD’s previous architecture for desktop processors. In the die design shown by Dr.Lisa Su, AMD showed a smaller 7nm die with 8 cores and 16 threads next to a larger 14nm based I/O die. 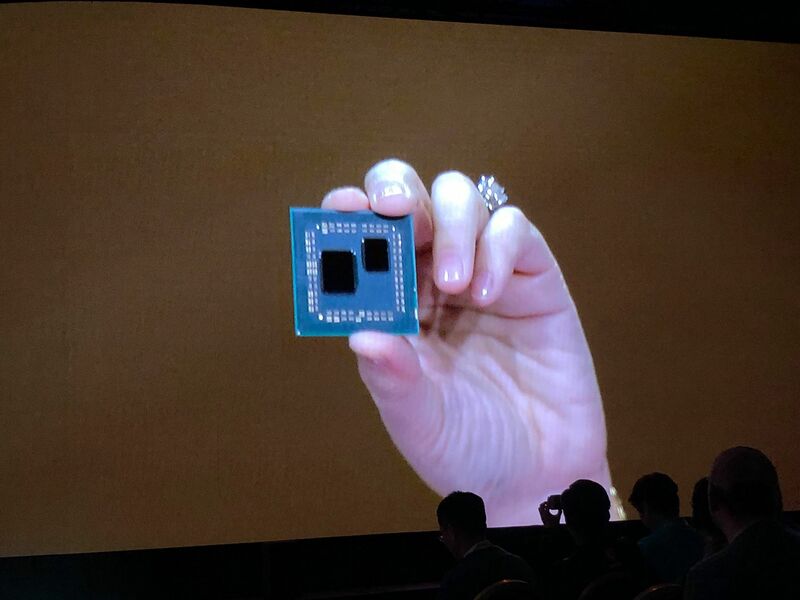 This configuration is similar to the one we saw on the EPYC Rome processors and moves AMD to a Multi-Chip-Module package on mainstream consumer-end products too. Interestingly, AMD has space for one additional die which would suggest a higher core variant in the future or at launch. AMD showed several previews of their Ryzen 3000 series processor with one running Forza Horizon 4 at over 100 FPS on 1080p resolution (The GPU used was the Radeon RX Vega VII). The processor has also compared in Cinebench R15 versus the Core i9-9900K at stock frequency and the 8 core, 16 thread Ryzen scored 2057 points at 133.4W (max) while the Core i9-9900K with the same 8 core and 16 thread configuration scored 2040 points at179.9W (max).